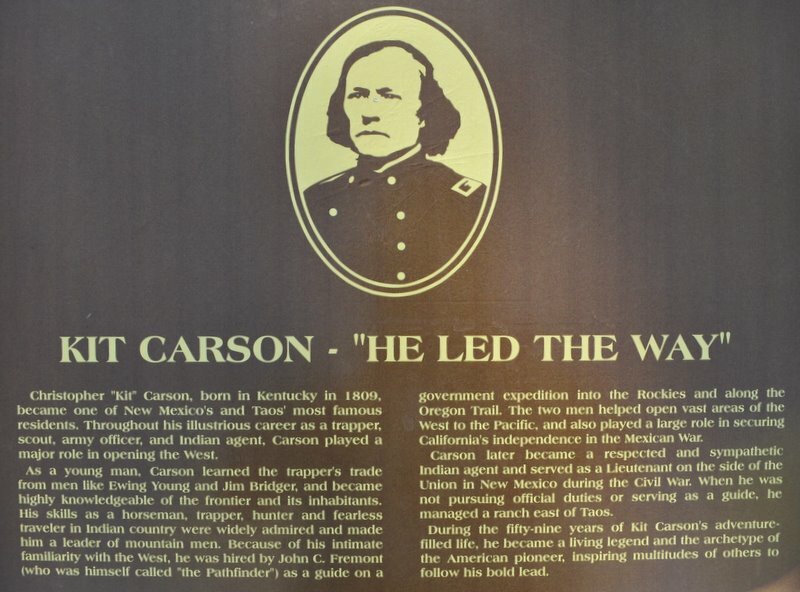 Kit Carson: he led the way . . . | A balanced diet . . . 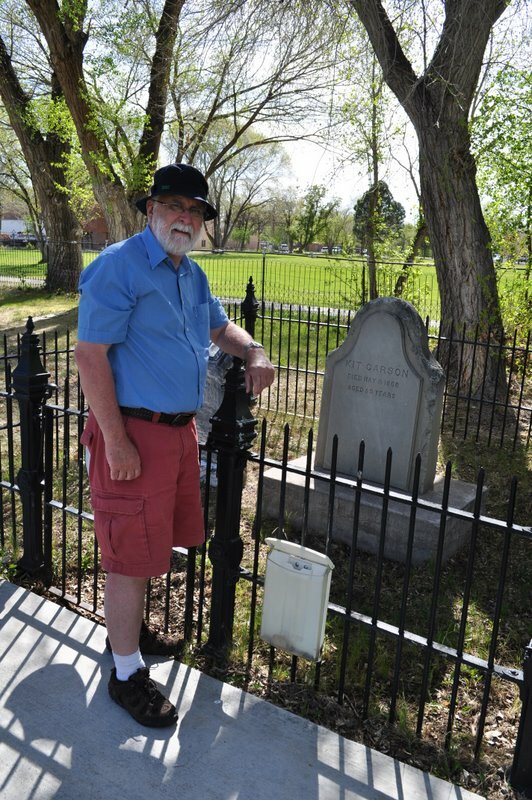 Kit Carson: he led the way . . . Early in 2011, Steph and I began to plan our next visit to Minnesota to visit daughter Hannah, husband Michael, and grandson Callum, scheduled for May when Callum would be around nine months, and almost at the crawling stage. I suggested that we should take the opportunity of being in the US to fulfil one of our long-held ambitions, namely to visit the Grand Canyon. Well, as chance would have it, I’d been reading a biography of 19th century frontiersman and Indian agent and fighter, Kit Carson. And I discovered that much of his life had been spent in northern Arizona and north-west New Mexico. This got me thinking. Why not combine a visit to the Grand Canyon to a number of the sites mentioned in the book I’d been reading? And so we planned an itinerary that would take in the Grand Canyon, Monument Valley, the Canyon de Chelly (pronounced shay), the Petrified Forest National Park and the Painted Desert in Arizona, and the mountains of north-west New Mexico, including the Rio Grande gorge, and the mountains near Los Alamos, where the first atomic bomb was assembled. During our trip we visited Carson’s grave in Taos, NM. Click on the images below to view various web albums. After spending a few days chez Foldes in St Paul, we flew to Phoenix, AZ and drove up to Flagstaff via the Sedona Valley. This was our first introduction to canyon country, red buttes and all. After an overnight stop in Flagstaff (where it began to snow! ), we headed north via the Sunset Crater National Park and Wupatki National Monument (a series of Pueblo Indian settlements in the desert) to reach the Grand Canyon. Words cannot describe the awesome spectacle as you gaze over the canyon for the first time at Desert View (just after entering the Grand Canyon National Park). We spent a couple of nights at Grand Canyon Village, in very comfortable motel-style accommodation. Since it was the beginning of May (and even though the various hotels/motels were full), the area was not heaving with tourists. On the second full day there, we took the bus on the crater rim route to the west, getting down after a couple of stops, and walking a few kilometres along the rim – literally just a meter or so from a sheer drop to the canyon floor below. Not for the faint-hearted! Now I’m haven’t got the best of heads for heights, and at one viewpoint, with sheer drops on three sides, and just a narrow neck of path to walk along, my legs went to jelly. And since it was also rather windy, I began to doubt whether I could overcome my feeling of helplessness, and actually make it to the end, and look over and around. I sat down, and told myself not to be so silly, that having come all this distance, it would be silly to let a little vertigo get in the way of enjoying some spectacular vistas. It took about 10 minutes, but eventually I made my way gingerly to the guard rail, and after that, I had little difficulty in standing on the edge. For much of the crater rim walk, there were no safety rails, and so I just concentrated on looking ahead at the path, and not over the lip. Too soon our Grand Canyon visit was over, and we headed east and north to Monument Valley, which straddles the Arizona-Utah state line, and which was used by film director John Ford on several occasions as the location for films such as Stagecoach, The Searchers, and She Wore a Yellow Ribbon, all starring John Wayne. Monument Valley is iconic mesa and butte country, owned by the Navajo Nation. We were able to drive through the valley, and saw very few other cars. We had been advised to get to the valley as early as possible because of potential tourist congestion, but that just wasn’t a problem for us. Maybe a few weeks later, once the grade schools were on vacation, the situation would have been very different. But in mid-May and throughout our whole trip, we saw very few tourists. Our next stop was the Canyon de Chelly National Monument that bisects a range of mountains in the north-east of Arizona. Canyon de Chelly is a magical and mystical place, and although the canyon itself is not as deep or wide, Steph and I actually preferred this to the Grand Canyon. It was much more intimate, so-to-speak, and still occupied and farmed by the Navajo. At a number of places throughout the canyon there are ancient ruins of settlements. There were fantastic viewpoints at several sites on the north and south sides of the canyon, and spectacular views of Spider Rock. Canyon de Chelly was the site of several massacres of the Navajo in past centuries – by the Spanish, and later in the 19th century, by the US government. The sides of the canyon are sheer, often dropping 1,000 feet straight down to the canyon floor. Had I not read the Carson biography I would never have dreamt of visiting Canyon de Chelly, which was certainly for me the highlight of the vacation. We drove south to the Painted Desert and the Petrified Forest National Park. The Painted Desert has to be seen to be believed – I’ve never seen horizontal sedimentary layers like these, all banded in different colours. We then headed north-east, and into New Mexico. Time was pushing on, and although we passed close by, were were unable to visit Shiprock or the Four Corners (where Arizona, Utah, Colorado and New Mexico meet). Heading over the mountains in north-west New Mexico, we dropped down to the Rio Grande and Taos, and then headed south towards Albuquerque, and up into the Valles Caldera. Quite often we saw road signs indicating possible congestion on the road ahead, but in all our 1,200 miles over eight days we never encountered any hold-ups. In fact sometimes we drove for an hour or more without seeing another vehicle. All too soon our holiday in the southwest was over and we flew back to St Paul to enjoy several more days with Callum. This entry was posted in Out and about, Travel and tagged canyons, indigenous civilizations, travel, USA.